Today I want to talk about a fantastic website that I only recently had the pleasure of interacting with. Natural Supply Co. is a website filled to the brim with gorgeous organic and natural skincare, hair care, beauty, and more. This website is especially excellent for those of us who don’t have certain brands like Bite Beauty, Hurraw!, Kester Black, or Frank Green easily accessible in physical stores. I wanted to talk about this website and what I recently bought from them, because I was pretty blown away both by the sheer amount of products they sell and by the amazing customer service they provide! I hope that you enjoy this post and consider checking them out! I travel every week and by now, I think I’ve got the perfect skincare routine down. 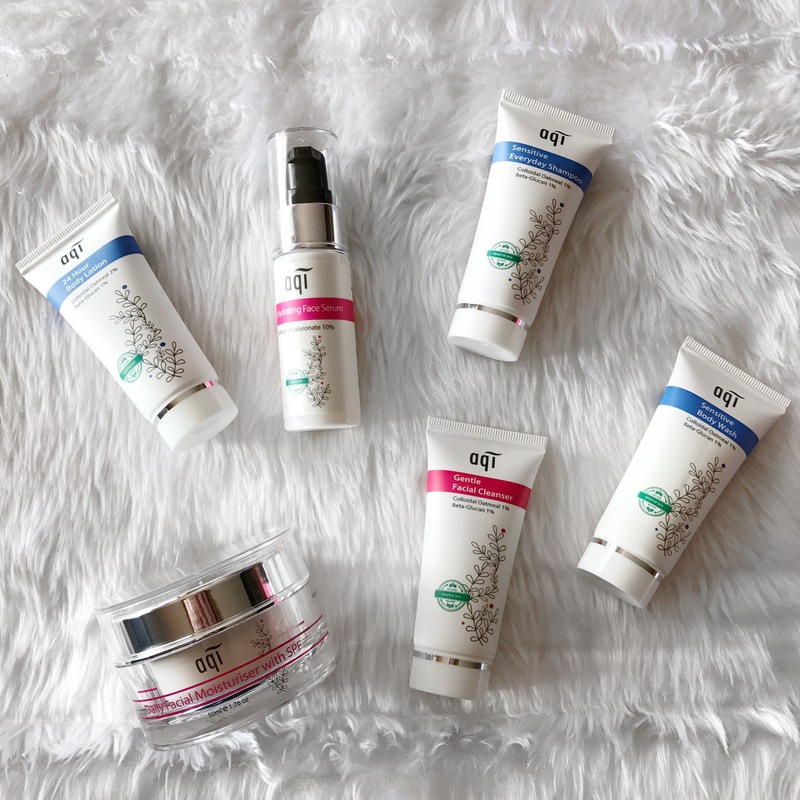 I like using a skincare range from one brand because skincare products are intended to be used together so a small skincare system for travel is perfect for me and perfect for those days where I’m just being super lazy haha. I hope that you enjoy! 4 Exciting New Products in My Collection! I was sitting here watching Legally Blonde the Musical and I felt the need to express my love for some new items in my makeup collection. I’ve slowed down my purchasing lately, I haven’t felt a great need to purchase anything which is kinda annoying now that I have my Priceline cash back voucher (which was $32.52! I’m so ashamed). But today I’m going to talk about 4 items that I got last month that I’ve really been loving! 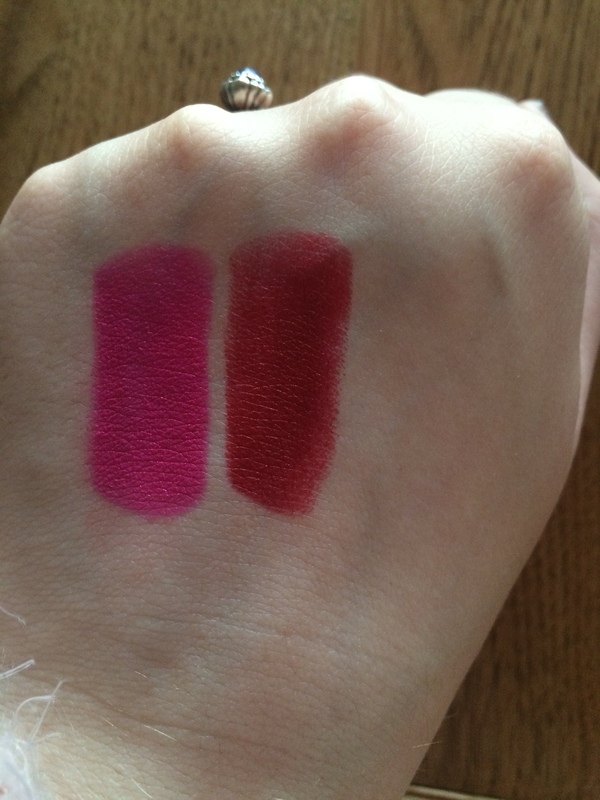 L to R: Shanghai Suzy Lipsticks in Miss Tanielle and Victorine, Milani Moisture Matte in Matte Orchid and Matte Confident. I bought these products from Rouche Boutique, it is an Australian website that sells some awesome brands that are often harder to find within Australian stores. They are super friendly and I’ve only ever had good experiences with them! 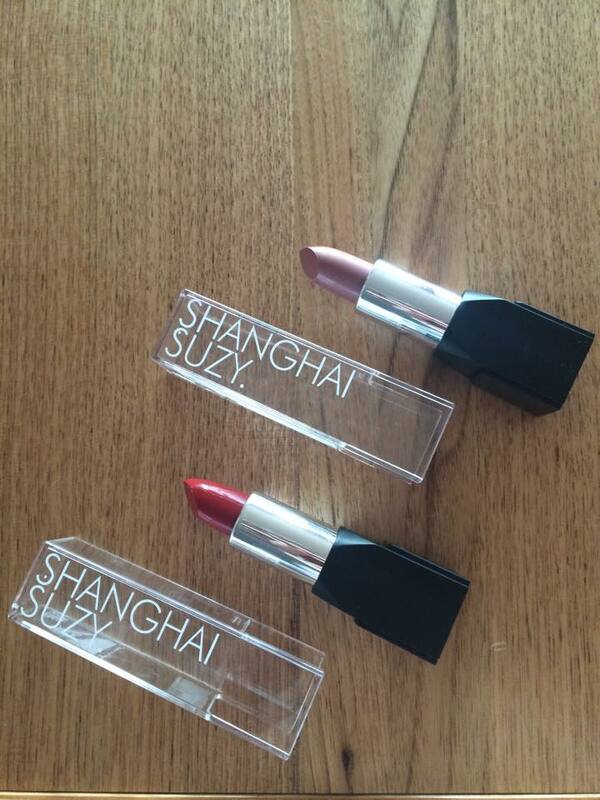 I’d been wanting to try the Shanghai Suzy lipsticks for a while but I never had a good excuse until I saw that Rouche Boutique were having a sale so I quickly snapped up two colours that I knew I’d like so that I could test out the formula. The colours that I purchased were Miss Tanielle DESERT ROSE and Miss Victorine CLASSIC RED. Miss Tanielle is popular for good reason. The colour is really beautiful. I usually hate browns on myself but it is quite mauvey and I think that’s how I can get away with wearing it. It gives a similar effect to how NYX Matte Lipstick in Butter looks on me. Miss Victorine is a really beautiful red. It is a lot like other colours that I own but it is definitely one of the higher quality reds that I have. It is brighter than the other red that I will be talking about later on. You could totally change the colours up with some lip liner. I wore Miss Tanielle on its own and was quite comfortable with how it looked. 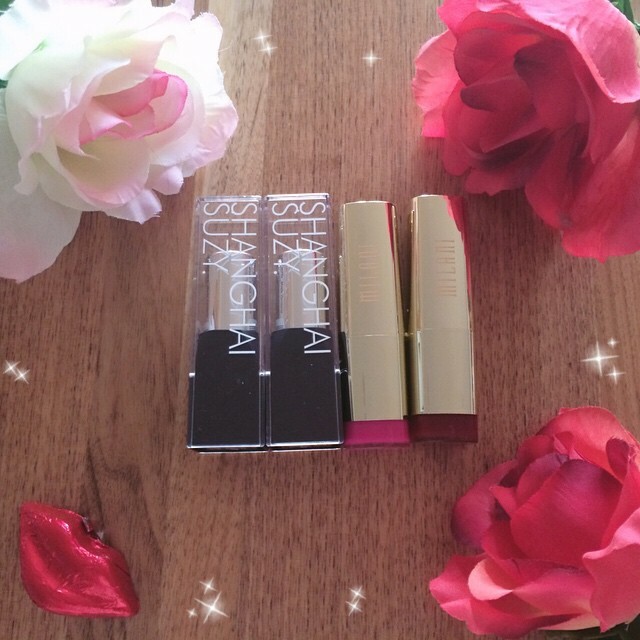 Best part about these lip products is that they are pigmented and they hardly transfer! I only noticed real colour loss when I was eating and even then, it faded really nicely. I’d highly recommend this product! 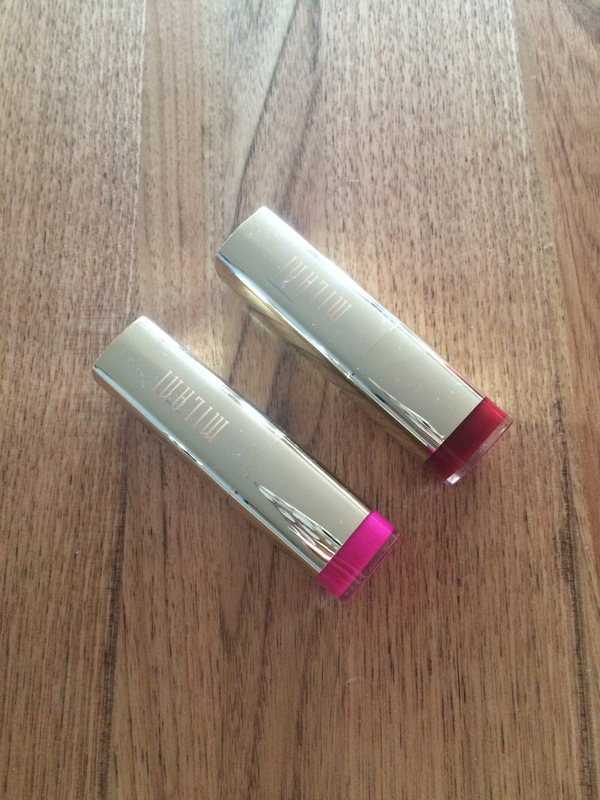 I love Milani lip colours, that’s no secret. In the regular line, Sangria is my favourite shade. 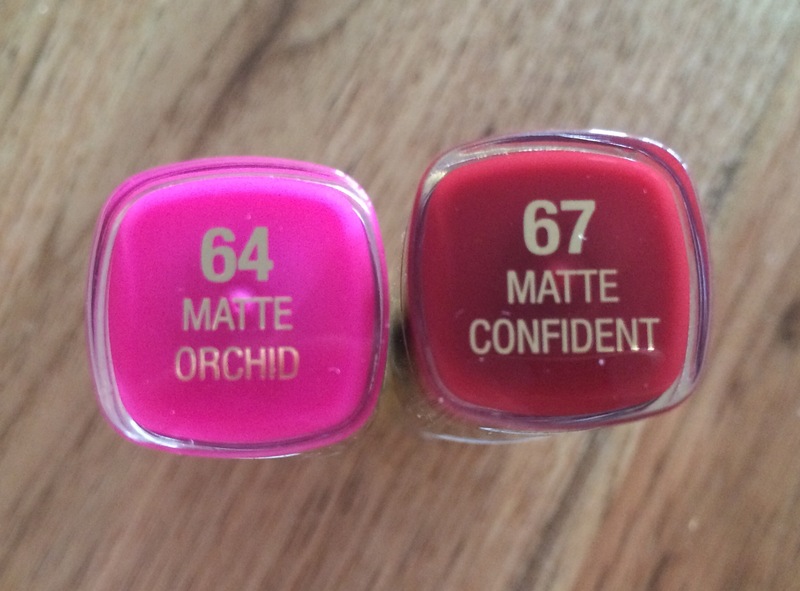 In fact, almost all of the lip colours I bought from the original line were matte so I was really interested to see how these were going to be. The colour that I was really interested in purchasing wasn’t in stock so I bought the next best colours, Matte Orchid and Matte Confident. These colours are gorgeous. They are pigmented and they aren’t drying at all. 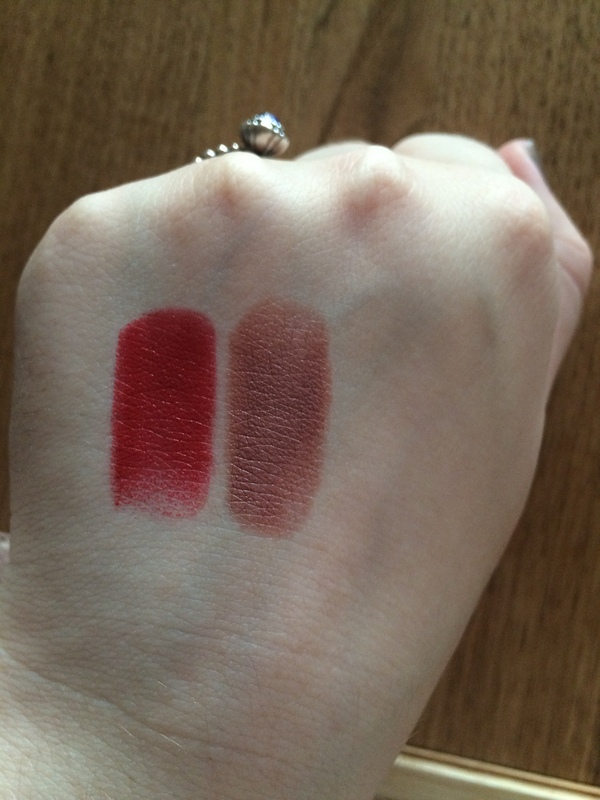 I found Sangria to be a bit drying when I wore it but the other mattes from the original line were fine. These felt like a different kind of matte formula. They felt much more creamy but definitely dried matte and they still felt familiar. I have a lot of colours like Matte Confident and I think this colour is definitely up in my top favourites. Matte Orchid is stunning. Its vibrant and beautiful and I definitely think that I will get a lot of use out of it! If you are interested in picking up any products from Rouche Boutique, you can use my discount code and receive 10% off of your order! The code is ‘PASTELSPARKLES’ and you can use it on everything except Sigma Beauty products and sale items, of course. Rouche Boutique have many other items that I know are on a lot of people’s wishlists so it is definitely worth checking out! I hope that you’re all having a beautiful day.